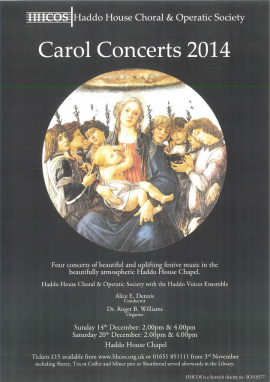 Tickets go on sale TODAY for the famous HHCOS Carol Concerts in the Chapel at Haddo. Refreshments ( tea, coffee or sherry with mince pies and shortbread) served in the beautiful library at Haddo House after each performance. Don’t delay or you might miss out…..